Ready to start hiring your wedding vendors? You’ll be on the hunt for the perfect photographer, caterer, wedding planner … but does even the thought of picking up the phone dozens of times & asking a million questions leave you feeling stressed out? You’re not alone! I totally get it. Hiring your wedding vendors comes with a lot of pressure. Your wedding photos WILL last forever. The food at your reception IS a big deal. The flowers & decor DOES make or break a first impression. 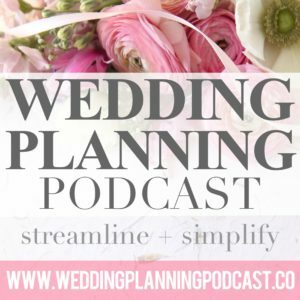 The Wedding Planning Podcast is here to help you keep things streamlined, simplified and STRESS FREE! This month we’re doing a deep dive into hiring your key wedding vendors. GRAB YOUR FREE “5 WEDDING VENDORS CHECKLISTS” HERE! 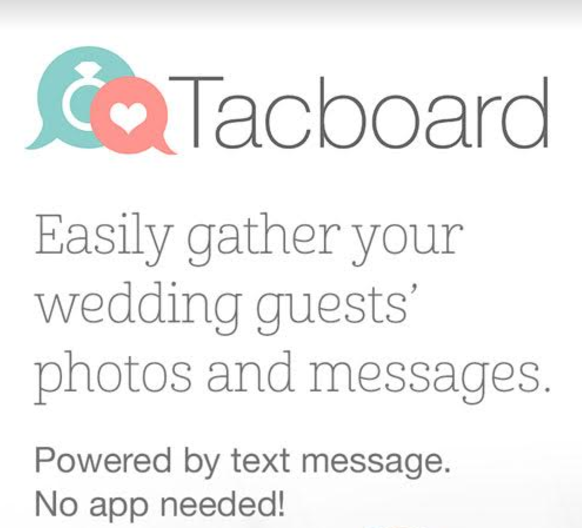 5 FREE Wedding Vendor Checklists! Enter your email address below to claim your copies of the FREE "Hiring Your Wedding Vendors" series checklists! 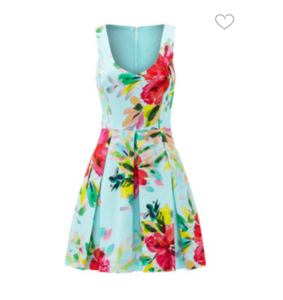 Includes detailed outlines on hiring your Photographer, Wedding Planner, Caterer + Florist. 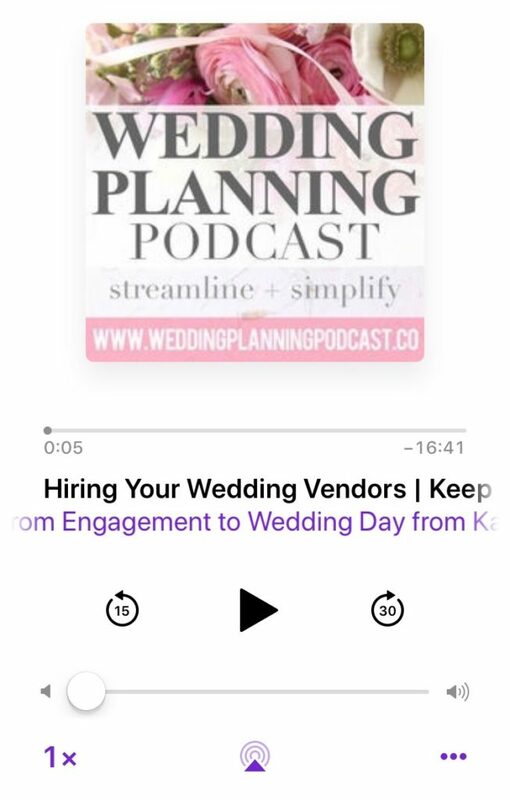 I know that many of you are taking help from the pro’s on at least a few aspects of your wedding planning, so I wanted to have a thorough discussion on how to maximize the relationships you create with your wedding vendors. 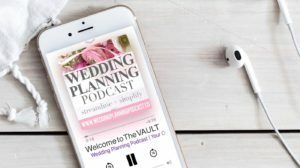 Not everyone is comfortable picking up the phone a million times, pushing back, asking hard questions – and that’s what comes into play in this phase of wedding planning. You need to be prepared to have some candid conversations, do a ton of follow up, and keep everything (and everyone) organized. Today we’ll cover the smart questions to ask, the specific things that need to be included in each contract, and ways to get the best deal – all without haggling. 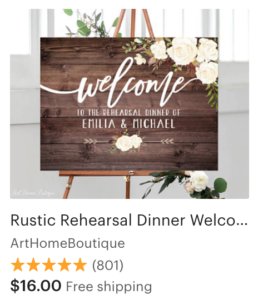 Questions about hiring your various wedding vendors, or stories to share? 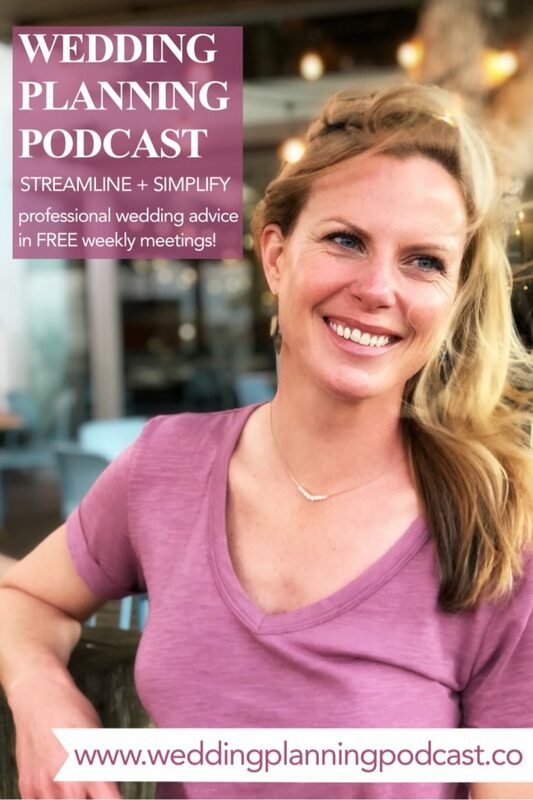 You can always find me here, or tag me on Instagram @weddingplanningpodcast. Now let’s go find you the PERFECT team of wedding professionals!